Not every dog can be classified as a full-blown chow hound, but in general, dogs love to eat. They use their irresistible puppy dog eyes to beg for the last bite of your sandwich, and even if they’re picky about what goes in their bowl, meal times are the best parts of their day. A dog that suddenly acts as if they’re not hungry is usually telling their owners that something isn’t right. The longer they go without eating, the more calories and nutrients they miss out on. They get skinny and suffer from malnutrition, and without food, they sink deeper into illness. Food is the fuel that keeps your dog’s body going, and without it, they’ll continue to grow weaker. They need to be strong to fight off whatever underlying issue they’re suffering from, and CBD oil stimulates appetite and reduces nausea to help dogs regain their appetites. Cannabidiol (CBD) is a type of cannabinoid found in cannabis. There are over 100 different cannabinoids, and CBD is the big player when it comes to healing and well-being. It interacts with the endocannabinoid system (a biological system all mammals have) to create better communication between various parts of the body. CBD oil triggers immune responses via endocannabinoid receptors to help the body stay balanced. But Isn’t Cannabis Bad For Dogs? Marijuana is a type of cannabis that is dangerous for dogs, and they should never be exposed to the plant itself or its smoke. CBD oil, however, is a compound found in both marijuana and hemp. It has no psychoactive properties–meaning it can’t make you high–and it’s completely safe and natural for dogs. CBD oil from hemp is legal, and people all over the country are realizing its amazing health benefits. Without the ability to speak up about what’s wrong, your dog relies on you to recognize their loss of appetite for what it really is. There’s always a cause, and it’s your job to figure out what it is. 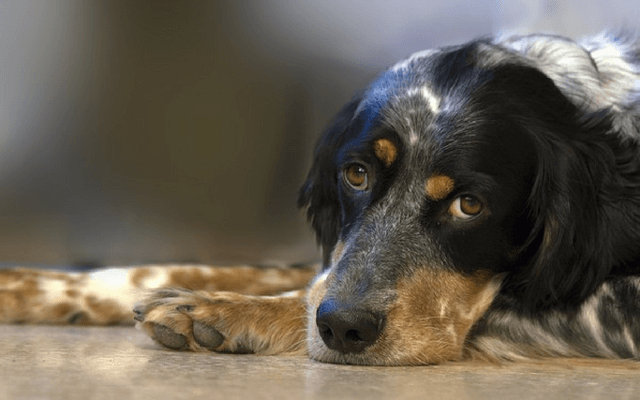 Sometimes the cause is something minor that you can handle from home, but there are also cases where a lack of appetite requires a visit to the vet. Here are a few possibilities. Illness: This is a broad category, but there are several types of illnesses that can cause appetite loss. 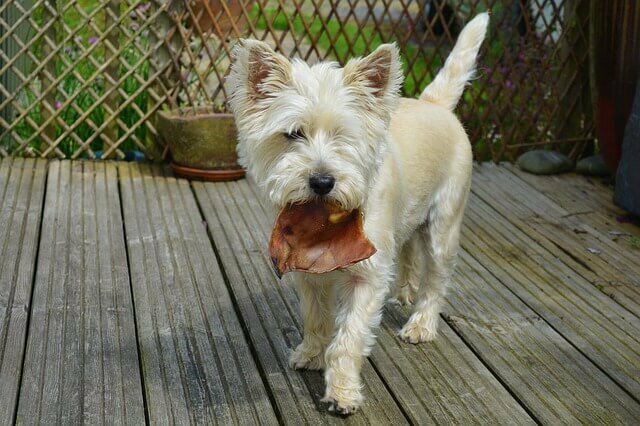 If your dog refuses to eat for 24 hours but is gobbling down dinner the next day, the issue could have been that they ate something they weren’t supposed to or ate too fast. If they’ve been refusing to eat for 48 hours or more, however, it’s time to see a veterinarian. Possible illnesses include kidney failure, or an infection. Medication: Most prescription medications come with possible side effects, and loss of appetite is common. Chemotherapy is an example. The powerful treatment causes extreme nausea, and like people, dogs don’t feel like eating when they’re battling bouts of vomiting and diarrhea. Always ask your vet about possible side effects before administering a new medication to your dog. Stress and Anxiety: Feeling stressed and anxious can cause digestive upset in dogs that subsequently causes loss of appetite. 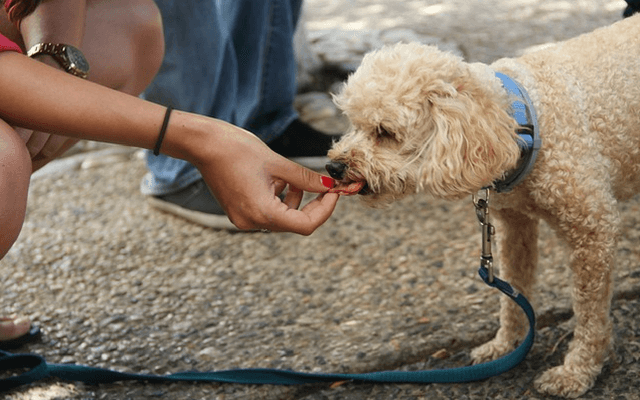 If you recently moved to a new home, introduced your dog to a new family member, dropped them off at a boarding kennel, or initiated any other kind of change in their life, their lack of appetite could be related to their mental health. When you recognize their distress, you can take steps toward making them feel better usually without seeing a veterinarian. The endocannabinoid system is believed to play a role in regulating the body’s feeding behavior. When appetite is diminished due to illness, stress, or any other reason, CBD oil can be used to “jump start” the endocannabinoid system and stimulate appetite. Studies also show cannabinoid receptors in the hypothalamus are involved in triggering the brain’s motivational or reward-based aspect of eating. At the same time, CBD also reduces nausea that can keep a dog from eating. A study published in 2012 discovered CBD oil targets specific receptors to activate a bodily response that suppresses the feeling of nausea. When their stomach is settled, your dog will be more inclined to eat and take in all the nutrients they need to stay healthy. Administering CBD oil is easy, and best of all, it’s safe. All you have to do is find a quality product and follow the dosing instructions. 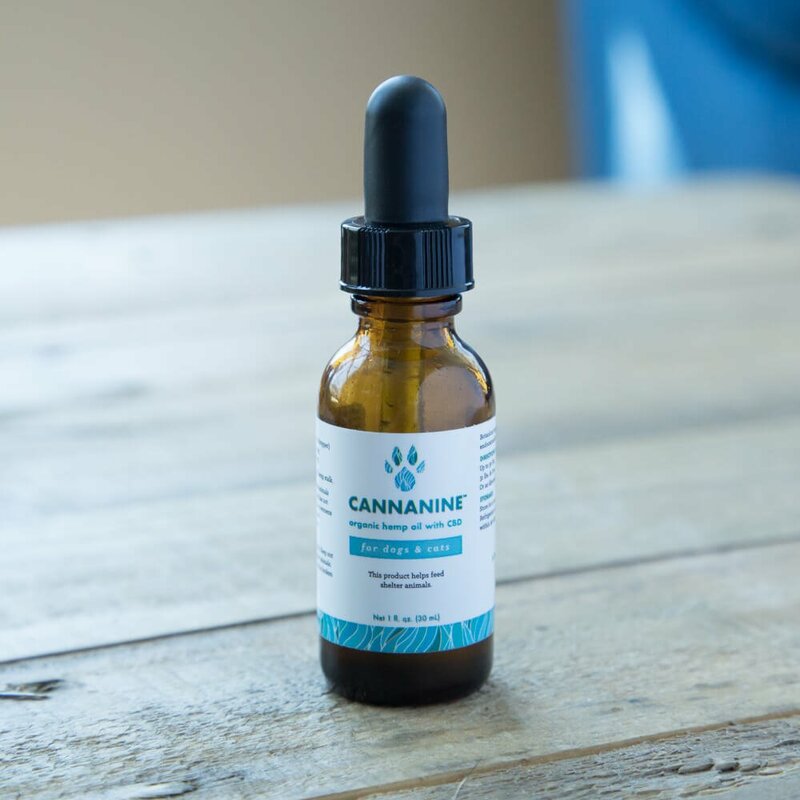 For tinctures, the recommended dosing is usually about one drop of CBD oil per 10 pounds of the dog’s body weight. Always read the product’s label before giving it to your dog, and monitor their behavior for the possibility of side effects including tremors and dry mouth. CBD oil works fast, and giving your dog a daily dose right before their scheduled meal time should help them feel hungry enough to eat and keep everything in their stomach. Cannanine™ Organic Hemp Oil is made from organic hemp grown in Colorado. Unlike other CBD oil products that contain trace amounts of high-inducing THC, this product contains zero THC. It has been heavily tested to ensure it’s free of heavy metals and other toxins, and is an all-natural way to stimulate appetite and fight nausea in dogs. Can I Give Human CBD Oil to My Dog?